Ḥorvat Omrit is located in the foothills of the Hermon Range, 4 km southwest of Banias and east of the modern city of Qiryat Shemona. It stood near the crossroads of the ancient Tyre–Damascus and Scythopolis–Damascus routes, and on the border of Galilee and Iturea. Topographically, it is situated on the eastern side of the Ḥula Valley, where the terrain rises toward the Hermon, several kilometers southwest of the Damascus Pass. During the Hellenistic and Roman periods, Omrit was part of the disputed and somewhat unruly region of Iturea (Strabo Geog. 16.2, 18). The temple at Omrit may have marked the entrance into Iturea or the related region of Banias. This rugged, mountainous area changed hands several times during the first century BCE. After the Battle of Actium, Augustus handed it over to Herod, who was charged with restoring order to it. With his characteristic brutal hand and equally audacious building program, Herod brought the region under his and Augustus’ control (Josephus, Antiq. XV, 344). 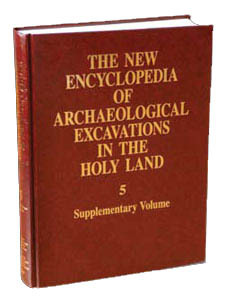 Archaeological excavations began at Ḥorvat Omrit in 1999, under the direction of J. A. Overman, with the support of Macalester College of St. Paul, Minnesota. A preliminary probe of the area had been conducted in 1974 by a team headed by G. Foerster of the Hebrew University of Jerusalem. Distinguishable on the site were substantial structures with numerous architectural features still standing, some in situ, as well as an extensive complex with multiple buildings, a colonnaded way, and an ornate, extremely well-preserved temple-like building. Five seasons of excavations have been completed so far, focusing primarily on the temple complex.